Edward Sharpe and the Magnetic Zeros burst into the music scene nearly 10 years ago, despite how recent it still feels when the Summer of Love-inspired album Up From Below was released. Edward Sharpe, a messianic preacher of love sent to save the world, was an alter ego former lead singer of dance-punk group Ima Robot, Alex Ebert, created during his stint in rehab. Alongside Jade Castrinos and a musical collective that would end up as Magnetic Zeros, the band has since released three records heavily inspired by, and seemingly espousing, the once-blooming and spirited counterculture of the 60s. Yet the group’s newest release, PersonA, is quite different from their previous records; a difference not solely attributed to the absence of female vocals since the departure of lead singer Castrinos. Produced for the first time outside the bubble of Los Angeles, Ebert and co. recorded the album in the legendary Piety Street Studios in New Orleans, a place that has seen the likes of Tom Waits and Dave Matthews record in their rooms. Within its studios, all 10 members of the band contributed to the composition and writing of the album’s songs — the first time they’ve done so since the group’s formation. Although still incorporating elements of free-form improvisation and experimentation from the band’s musicians, the group has matured their approach towards something more artistic and refined. PersonA opens with 'Hot Coals' — a seven-minute, riff-heavy jam more similar in sound to Seal’s 'Crazy' than it is to 'Home', the track that shot the band to stardom. Initially released in late 2015 as a teaser for what was to come, 'Hot Coals' is a great example of how PersonA is an anthology of the band’s artistic explorations as opposed to what's expected of them. Of course, the album still has clap-worthy campfire anthems on the greatness of love for others and yourself ('No Love Like Yours', 'Wake Up the Sun', 'The Ballad of Yaya') and preachy songs with a worldly consciousness ('Uncomfortable', 'Perfect Time'). Yet, these are balanced with softer and more intimate songs ('Somewhere', 'Free Stuff', 'Let it Down') that focus on Ebert’s voice and lyrics as opposed to the whirlwind of sounds usually going on in the background. It is a sound that might not appeal to all of their existing fans, but for ones who prefer the band’s quieter, more mellow tunes (think 'Brother' and 'Desert Song' from their debut and their second album Here), this is the album you've hoped for since Here; one that captures the essence of what the band has previously released, but with more substance and less psych-folk predictability. 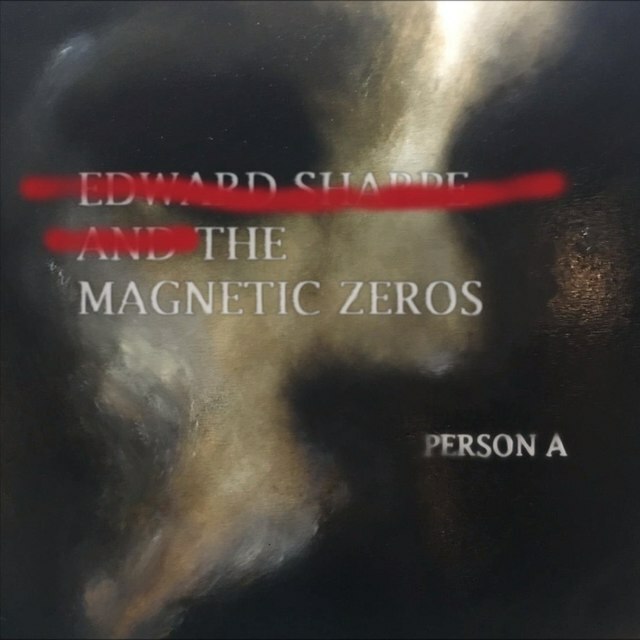 Ebert has admitted that the crossing out of Edward Sharpe’s name on the album’s cover art represents the death of the messianic alter ego he created so long ago. Perhaps rebirth is too strong a word to use, but PersonA surely signals a new era for the band, and maybe with that, a new fan base as well. PersonA is now available through Community Music. You can follow Edward Sharpe and the Magnetic Zeros on Facebook.